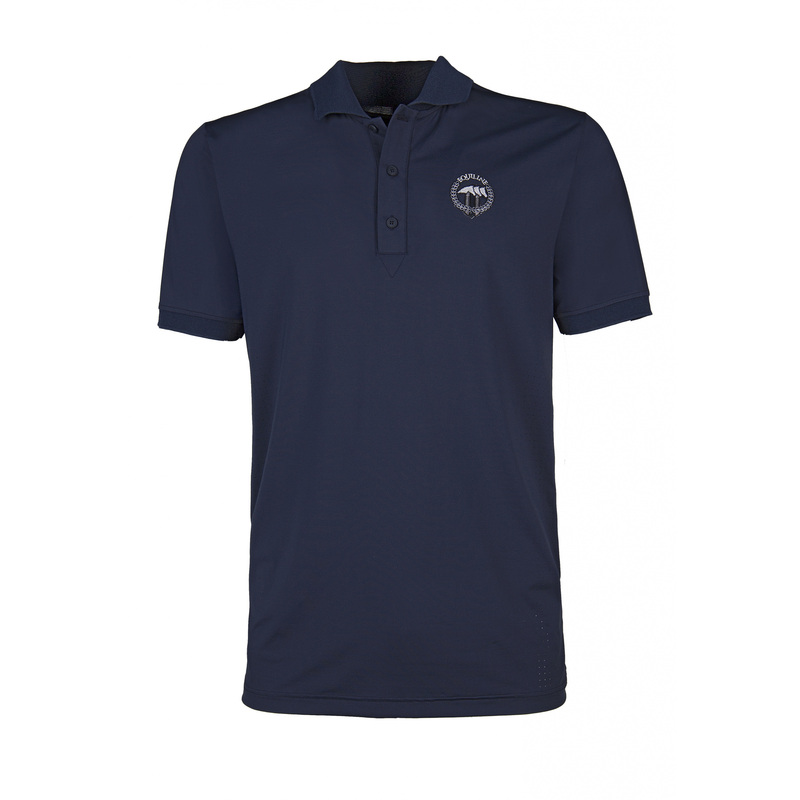 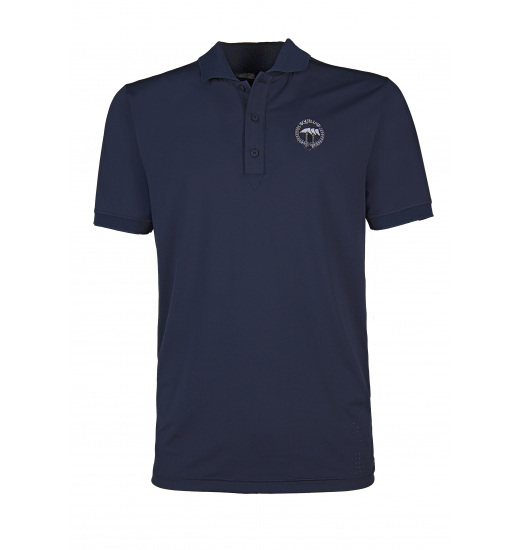 Men's Fulton polo shirt is perfect for everyday trainings. 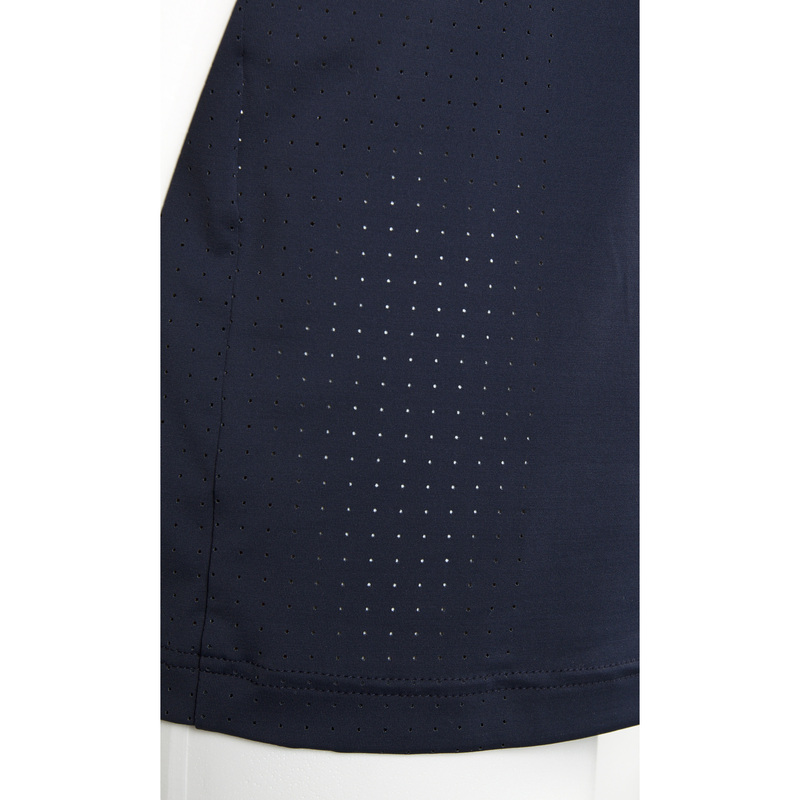 It is simple, monochromatic and made of the highest-quality products, it also has elements where the material is thinner and "punctured" in order to provide higher comfort of use, especially on hotter days. 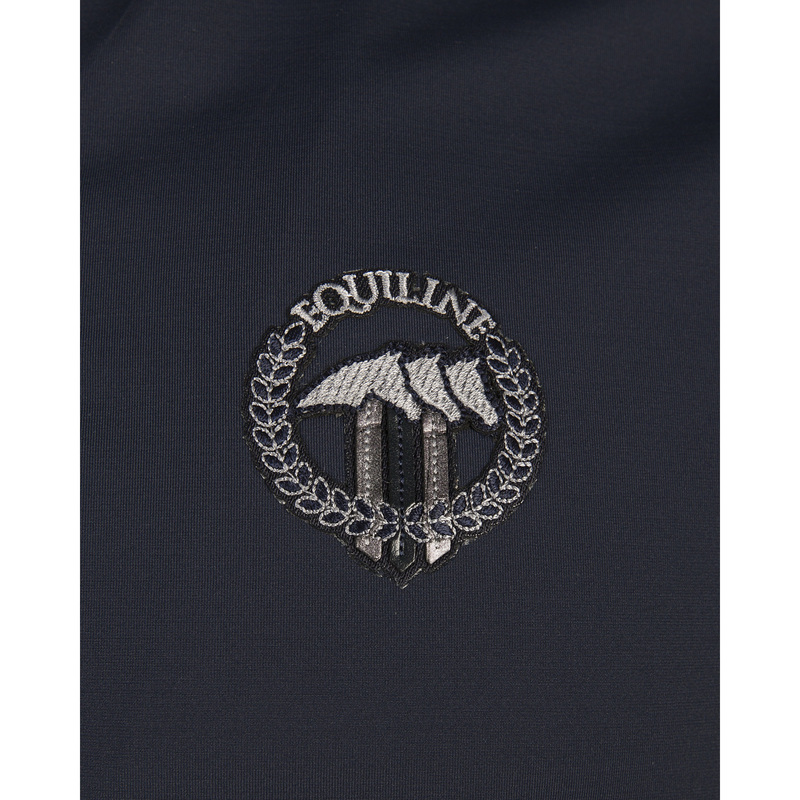 There is a classic Equiline logo embroidered with silver thread on the chest.